Every legend begins with a lie. Laeli Tavens, a thief shaped by the Sky-worshipping mythos of her island, stalks High Lord Lawrence Anderton across the country. She must save her twelve-year-old sister Elaina, whom the obsessive Anderton has kidnapped as bait. “You need not run and hide, little one. You need not close your eyes, little one. Until the day I die, little one. You know I would not lie, little one. Elaina copes with brutalities and tortures she cannot understand, while Laeli and her long-time ally Sophia navigate a country of prostitutes and assassins, war brewing around them. Though Laeli clings to a well-crafted denial of her past, she and her conspirators must conquer their secrets before Anderton’s trap ensnares them all. 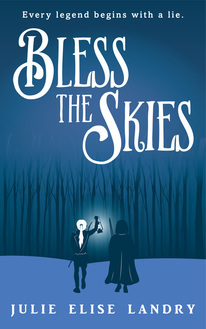 Go to the Bless the Skies Goodreads page to read full reviews! Landry shows an incredible ability to write, managing to describe things in vivid detail without sacrificing plot pace... Each character is like a real person, struggling to survive while trying to pursue their desires in a hard world. The result is a cast of characters as messily complex as any reader will be. 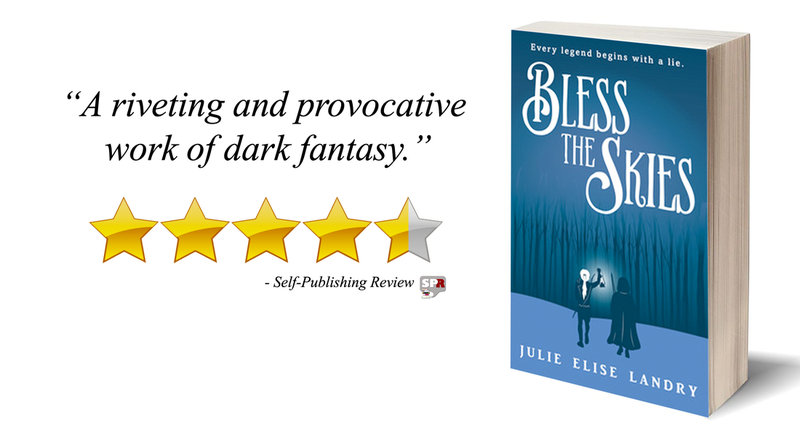 Although "Bless the Skies" by Julie Elise Landry took me quite a few pages to really get into, it turned out to be a marvelous book and one that I couldn’t stop reading. Although the writing wasn’t as polished, the story and characters really put me in the mind of Scott Lynch’s "Lies of Locke Lamora." The words in this book, the characters, and story just had the same taste as Lies, which kept me wanting to read more long after the story was finished. Fantastic and gutsy first novel... The story has hints of Tolkien (think female versions of Legolas and Aragorn) but with believable characters who are realistically flawed (think Lev Grossman's Magicians). This book explores the limits of human suffering in a way that is both accessible and off-putting—a perfect balance that will leave you on the edge of your seat. It fosters a bit of a hatred in me for human nature as a whole, and if I’d had a physical copy of the book in my hands during some moments, I might’ve thrown it across the room. I felt so angry at the injustice of it all! When a book can evoke a physical reaction in me, I know it has captured my imagination completely. I actually recommend you read it twice. Why? Because the first time you read it, you'll speed through it so fast to find out what happens you'll miss the subtle undercurrents and character complexities that come out when you re-read it at a slower pace. You'll begin questioning why you can justify the actions of one character, but condemn the same actions in another. Get a paperback of "Bless the Skies" for the best reading experience!